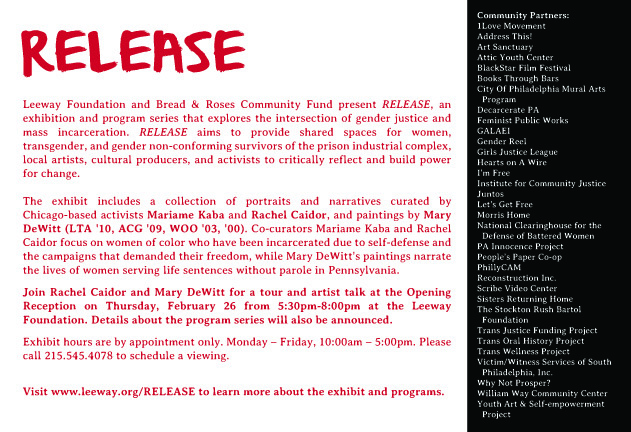 #RELEASE, an exhibition and program series that explores the intersection of gender justice and mass incarceration. TJFP is a proud community partner of #RELEASE. 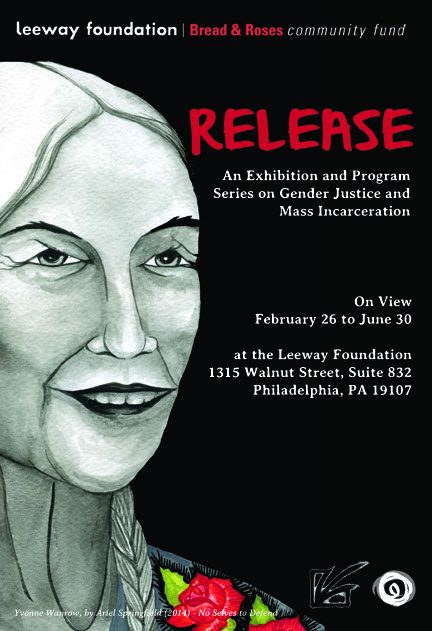 Hosted by the Leeway Foundation and Bread & Roses Community Fund, RELEASE is an exhibition and program series that explores the intersection of gender justice and mass incarceration. RELEASE aims to provide shared spaces for women, transgender, and gender non-conforming survivors of the prison industrial complex, local artists, cultural producers, and activists to critically reflect and build power for change. If you’re in Philadelphia or close by, please come out for the opening of the exhibit on February 26th at the Leeway Foundation (1315 Walnut Street, Suite 832). Comments Off on #RELEASE, an exhibition and program series that explores the intersection of gender justice and mass incarceration. 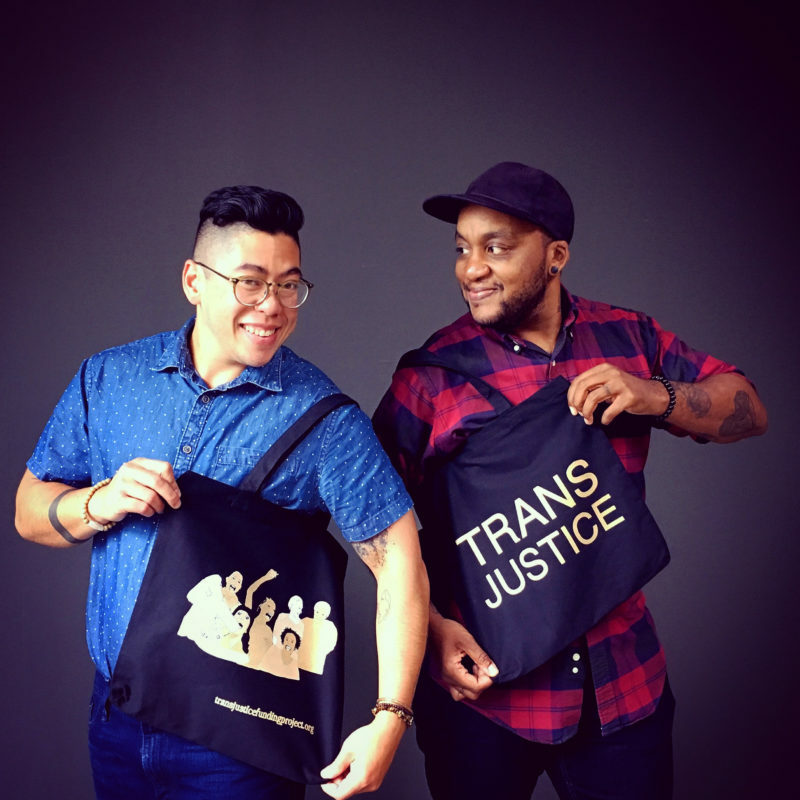 TJFP 2014 Grantee, Trans Women of Color Collective co-hosts, #BlackTransRevolution Summit! #BlackTransRevolution Summit is a space for community to engage in healing, restoration, fellowship, and action. 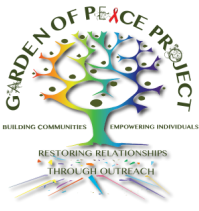 The Summit will take place in Pittsburgh, Pennsylvania Thursday, October 16 through Sunday, October 19, 2014 and will be hosted by Garden of Peace Project and Trans Women of Color Collective.